Visit us in the Mountain Valley Mall, next to Cinema 7. 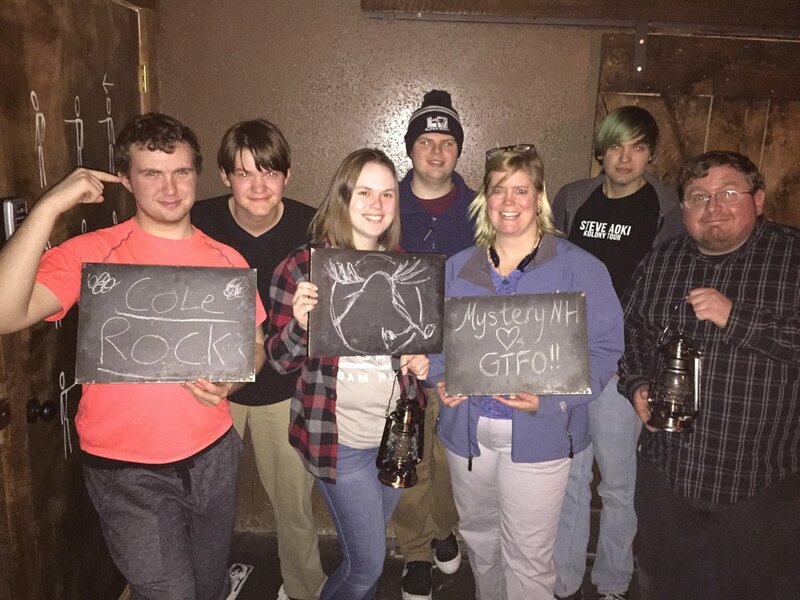 Mystery NH is a fun and exciting, immersive, real-life escape room experience, located in the heart of beautiful Mount Washington Valley. With the clock running, you and your team must find clues, solve puzzles and open locks in order to escape the room. The only tool you will need is your brain. This is a great activity for family, friends, co-workers, birthdays, anniversaries, team-building... Will you accept this entertaining challenge? Explore your inner detective at Mystery NH! Each of our escape room experiences differs in theme, puzzles and challenges. Play one, play all! Our themed rooms are retired and re-imagined every nine months or so. "If I could give it more stars... I can not rave enough about this place. Great experience for any group of people! The staff is outstanding, professional and helpful." "I wanted to finish, yet I didn't want it end!" "Wicked awesome! Loads of fun! Highly recommended." "The whole family loved it, ages 14 to 93!" Always have a great time escaping with this crew!!! Add GTFO to the mix and we have an AWESOME time!!! AND FUDGE!!!!!!! Journey on the Nautilus will take its final voyage soon! Exercise your brain with Mystery NH!